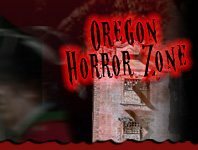 Halloween decorations are up and visitors ready to experience ghost and goblins are welcome to Home Haunts in Oregon. Some haunts truly are haunted while others are just dressed for the occasion, but regardless, each one has a hauntingly terrifying story waiting for you to uncover for a truly scare Halloween experience. The Witches Haunted Mine Beaverton 748 days ago Rate Now! Whispering Hills Horror Home Haunt Junction City 748 days ago Rate Now!